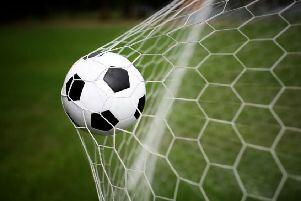 A man-of-the-match performance from goalkeeper Lewis Spencer wasn’t quite enough for Asfordby FC as they conceded late on against a strong GNG side. 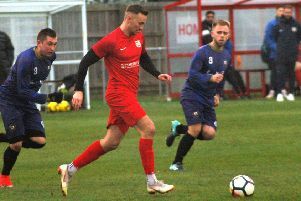 The result left Asfordby second-bottom of the Senior League Premier with one game left, a derby at Cottesmore Amateurs next Tuesday (April 23) ko 7.30pm. Asfordby manager Lee Mann said: “I feel gutted for the lads, they worked so hard and didn’t deserve to be on the end of that result. “They worked tirelessly all across the park and on another day could have nicked the win. “The opposition were very good today and put us under pressure, to which for most of the game we managed well. “We looked like a team chasing at the top as opposed to fighting at the bottom, and it was a great testament that their manager stated we were one of the toughest opponents they’d faced. Asfordby: Spencer, Hollis, Chapman, Ridout (c), Forfar, Lapworth, Clayton, Baker, Stainsby, Felstead, Johnson, S. Wright, A. Wright, Atherley, Rowland.